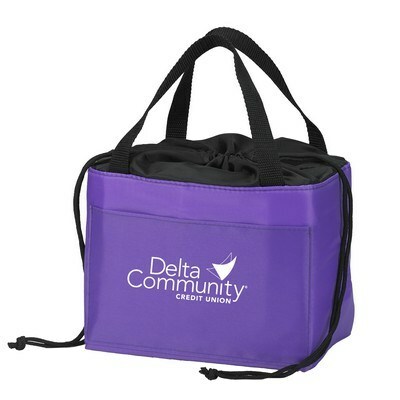 Impress your recipients like never before with an exciting gift at the next corporate event and gain appreciation for your brand. The Cinch-Up Lunch Bag is a useful accessory for anybody and it serves as a companion to school, college, office or picnic. 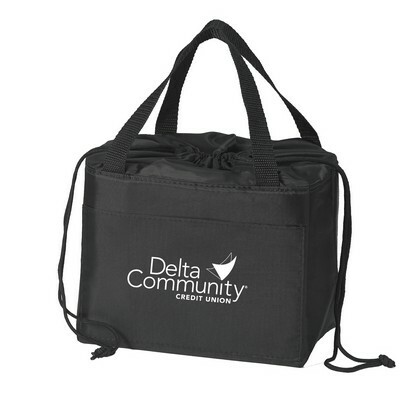 Made from 210D polyester, this bag is durable and strong and allows long-term utility. It features insulated EPE lining to maintain the temperature of lunch for a long time. 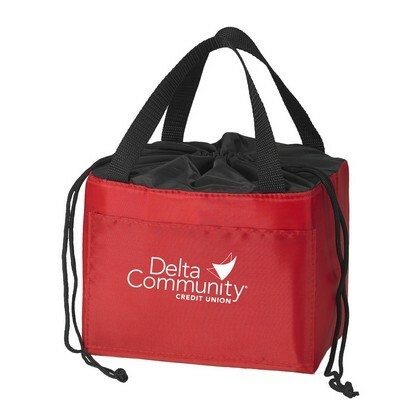 The bag comes with a large compartment with a drawstring cinch for ease of use and a front pocket to store extras. 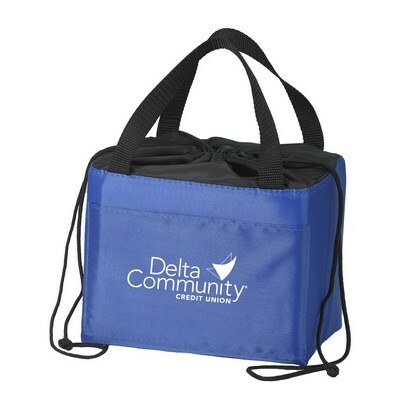 Large dual carrying handles facilitates easy and convenient carrying. The bag can easily fold flat for simple storage when not in use. 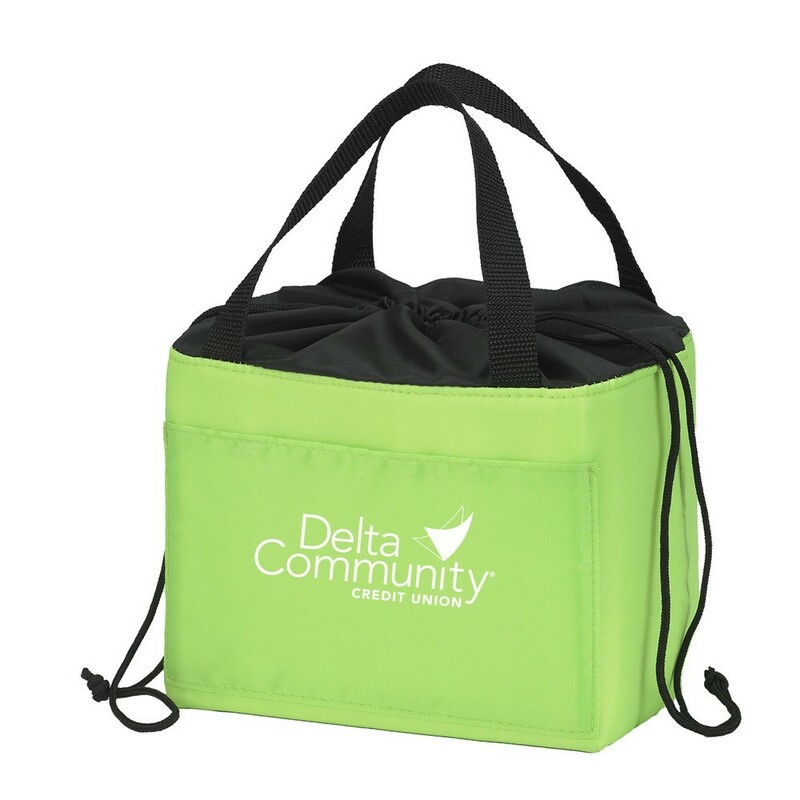 Available in five bright and attractive color options, this lunch bag can be customized to your company with a direct screen imprint of your brand logo and marketing message to create the perfect promotional giveaway.